Duratrax 2.8" diameter stadium truck tires are available mounted in your choice of black or chrome 6-spoke rims. All are sold in pairs and include foam inserts. All 2.8 MT tires are molded in: soft, sticky C2 compound. 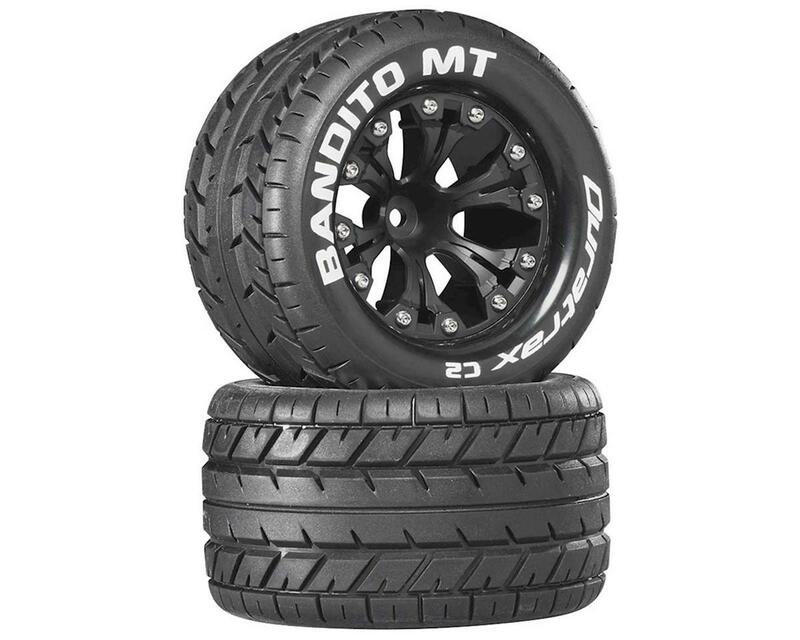 These tires are also compatible on the front of the following electric models: Stampede 2WD, Rustler 2WD. These tires are also compatible on the front and rear of the Stampede 4X4, HPI Savage XS Flux, and ARRMA Granite 2WD.